What is a werewolf? It seems like such a ridiculous question to ask, however, it’s been a topic of debate on this site for years. It seems that everyone has a different opinion when it comes to what a werewolf is. If you break it down to simple word examination werewolf translates to “man wolf” since “were” means “man.” But it’s more complicated than that, isn’t it? For some, yes. For me, no. 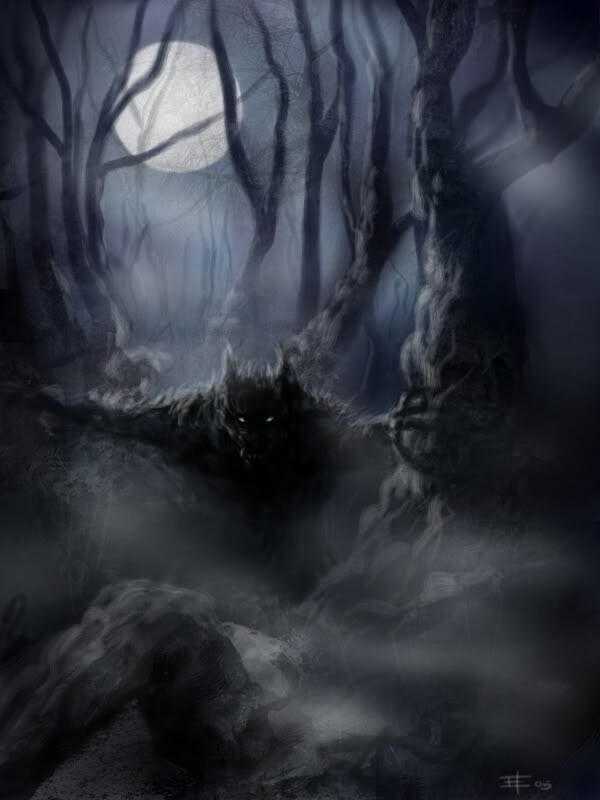 Personally, I feel that a werewolf is a man or woman who can transform into a wolf or wolf-like creature. Simple. That is the base of what a werewolf is – the ability to transform into a wolf. There is no right or wrong werewolf, it simply needs to follow that one rule and that rule is changing into a wolf or wolf-like creature. That’s how I see it, but others disagree and have countless rules and regulations when it comes to what a werewolf is “supposed to be.” Like, a werewolf has to be scary, a werewolf has to be evil, a werewolf has no emotions… etc. I think that’s all nonsense. To me a werewolf is someone who transforms into a beast. But what do you think? Are you one of those people who feel that a werewolf has to be something specific? That there is a right and wrong kind of werewolf? Are werewolves good or evil? What does a werewolf look like? How does a werewolf behave (mindless monster, intelligent, wolf/pack-like)? I don’t think there is a right or wrong werewolf. A werewolf can look however it wants as long as you can see wolf in it (it’s not a werewolf if it doesn’t have wolf in it). A werewolf can act any way it wants – good or bad. A werewolf is whatever the storyteller wants it to be. Moonlight (aka Amanda) loves to write about, read about and learn about everything pertaining to werewolves and other supernatural beasties. She writes for top genre sites like Vampires.com and Werewolves.com. You will most likely find her huddled over a book with coffee in hand. You can stalk her via her Twitter.